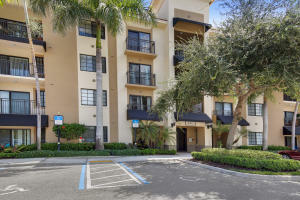 4907 Midtown Lane #1103 Palm Beach Gardens, Fl 33418 has been sold. WELCOME TO THE RESIDENCES AT MIDTOWN; IDEALLY LOCATED IN THE HEART OF PALM BEACH GARDENS. 1/4 MILE FROM I-95 AND SURROUNDED BY RESTAURANTS AND SHOPPING! THIS SHARP 1 BEDROOM, 1 BATH IS A GROUND UNIT AND IS OFFERED FURNISHED AT NO ADDITIONAL COST! COME ENJOY ALL THAT MIDTOWN HAS TO OFFER AT A TREMENDOUS VALUE!!! 4907 Midtown Lane #1103 located in Palm Beach Gardens, FL is a condo with 1 bedrooms, 1 full baths and 0 half baths.The Condo at 4907 Midtown Lane #1103 was built in 2008 in Midtown and offers a 0 car garage. This Midtown Condo offers pool, tennis, clubhouse, elevator, exercise room, community room, spa-hot tub, sidewalk, bike storage, manager on site. 4907 Midtown Lane #1103 Palm Beach Gardens, Fl is currently listed for $179,000 under the MLS# RX-10390769. This Condo has been put on the Palm Beach Gardens MLS system and currently has a status of SLD.